High Active Reforming Catalyst is for hydrogen or ammonia gas production in steel plant etc. 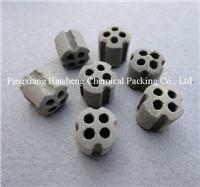 which is mainly used for second-converser with CH4 as primary raw material in nature gas, coke gas or associated gas. This product is apply to produce hydrogen or ammonia gas.